Micropropagation through an in vitro culture technique is a reliable biotechnological tool that holds a better scope and future for the propagation of numerous economically prominent ornamentals, including those having value in the foliage and flowering plants industry. As a lucrative alternative approach to conventional propagation, micropropagation is a highly refined, well-developed and suitable method to produce a large scale of progeny plants which are genetically identical to the stock plant in a short time. Micropropagation of ornamental plants is increasingly and continuously involved in the scientific progress of plant biotechnology and has a relevant horticultural impact. 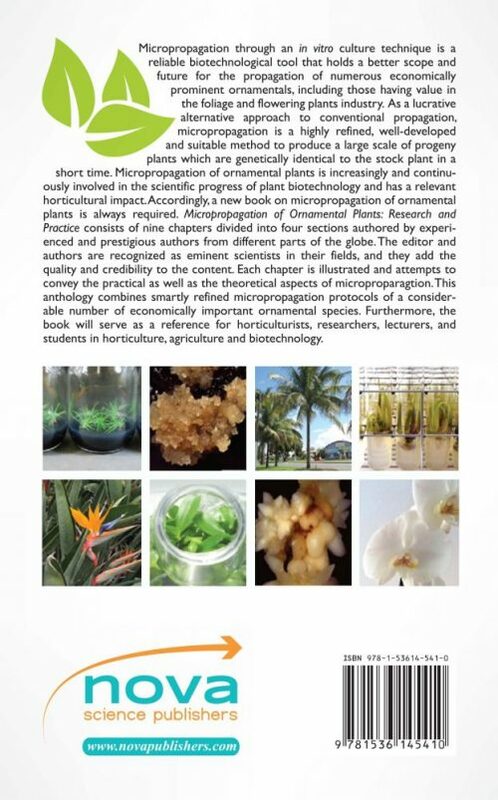 Accordingly, a new book on micropropagation of ornamental plants is always required. 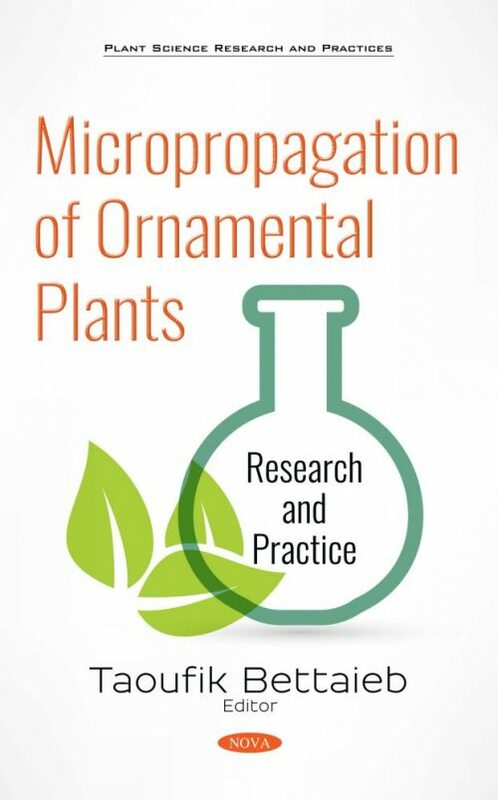 Microprpagation of Ornamental Plants: Research and Practice consists of nine chapters divided into four sections authored by experienced and prestigious authors from different parts of the globe. The editor and authors are recognized as eminent scientists in their fields, and they add the quality and credibility to the content. Each chapter is illustrated and attempts to convey the practical as well as the theoretical aspects of microproparagtion. This anthology combines smartly refined micropropagation protocols of a considerable number of economically important ornamental species. Furthermore, the book will serve as a reference for horticulturists, researchers, lecturers, and students in horticulture, agriculture and biotechnology. The target audiences for this title are horticulturists, researchers, lecturers, and students in horticulture, agriculture and biotechnology.